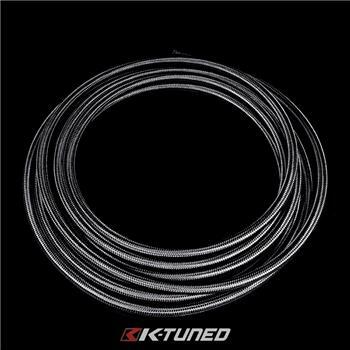 K-Tuned Plumbing - Braided AN Hose UNIVERSAL - Dezod Motorsports Inc - Home of the automotive performance enthusiast since 2002. K-Tuned braided hose is the perfect match for our popular AN Hose End fitting. The hose offers a steel braid for strength and black nylon outside braid to keep the clean look under your engine bay. Hose is sold per foot.